Sekiro: Shadows Die Twice will be tapping into our most base of human controller buttons – the need for some get back payback – as the official game launch trailer hits our hemisphere. Take revenge by any means necessary. Become the “One-armed Wolf” and rise from every fall when Sekiro™: Shadows Die Twice releases on 3.22.2019. 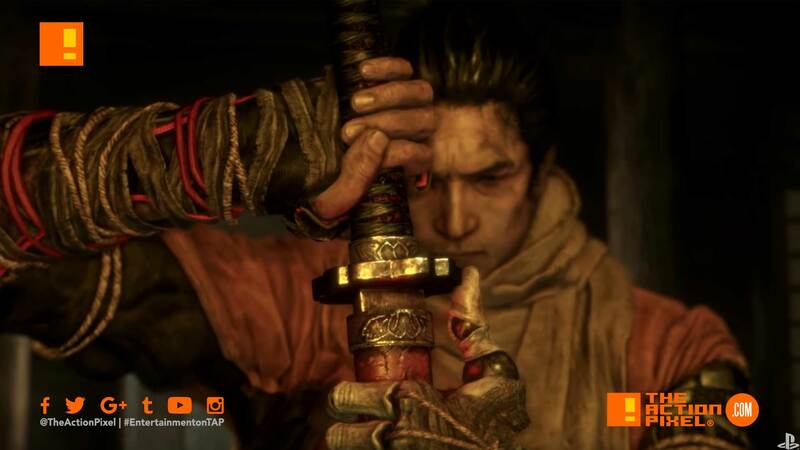 Winner of “Best of gamescom” and “Best Action Game” at gamescom 2018, Sekiro™: Shadows Die Twice is the next adventure from developer FromSoftware, creators of Bloodborne and the Dark Souls series. Explore late 1500s Sengoku Japan, a brutal period of constant life and death conflict, as you come face-to-face with larger than life foes in a dark and twisted world. Unleash an arsenal of deadly prosthetic tools and powerful ninja abilities while you blend stealth, vertical traversal, and visceral head-to-head combat in a bloody confrontation. Take Revenge. Restore Your Honor. Kill Ingeniously.